Posted by Kerri Demski on Friday, April 5th, 2013 at 6:18pm. North Vancouver detached home sales increased with another big jump, 49% over February's increase of 51%. While all market sales are up, detached properties are the busiest with 113 home sales and 36 of those selling at or over asking price, compared to 76 and 11 (respectively) in February. Buyers are still cautious as indicated by the marginal price increase from $924,200 to $936,100. Attached prices are up by 4.2% while condos are near 1%. 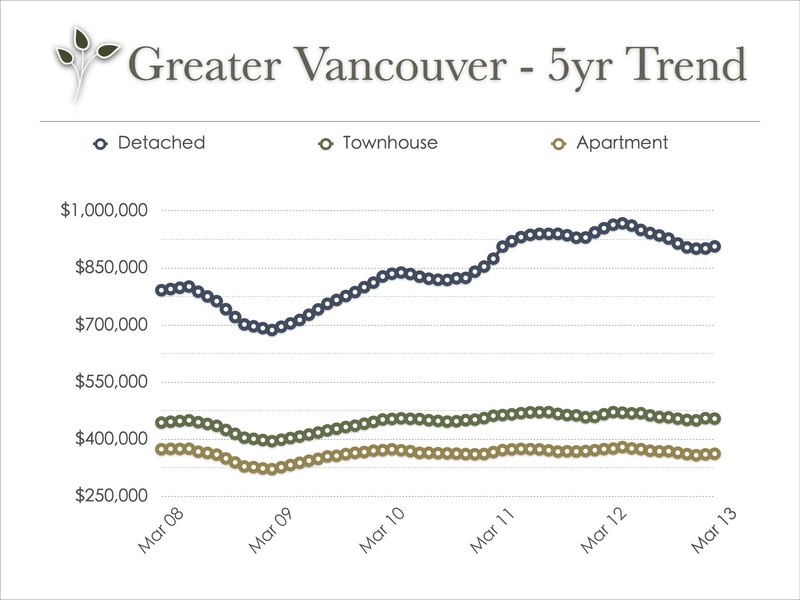 The West Vancouver detached market has finally pulled out some positive numbers with a 54% increase in detached sales over February's weak market performance. However, only 4 homes sold at or over aksing. Prices are holding fairly steady with little to no change in the detached market while the condo market has experienced an increase of 2.2%. This certainly hasn't been the busiest March we've ever seen, but it's still pretty good news for the North Shore. However, in the days following the Easter long weekend, and the brilliant weather, it has been hard to keep up with all of the new listings hitting the MLS in both North and West Vancouver. Sellers proceed with caution, it's still a buyer's market and appropriate steps should be taken before listing your home for sale. Contact us for more information on how to get your home sold in todays market. 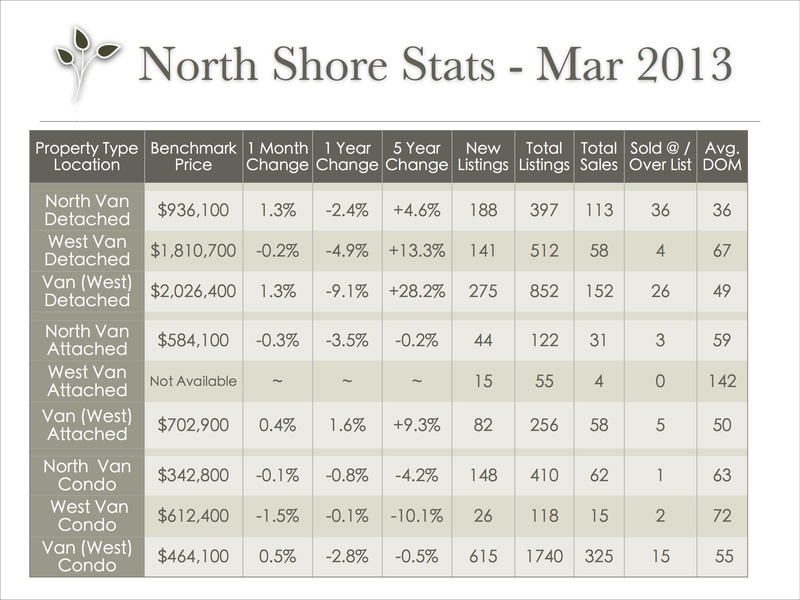 Stats are provided by the Real Estate Board of Greater Vancouver; feel free to view the complete REBGV Stats Package for March, 2013 on their website.